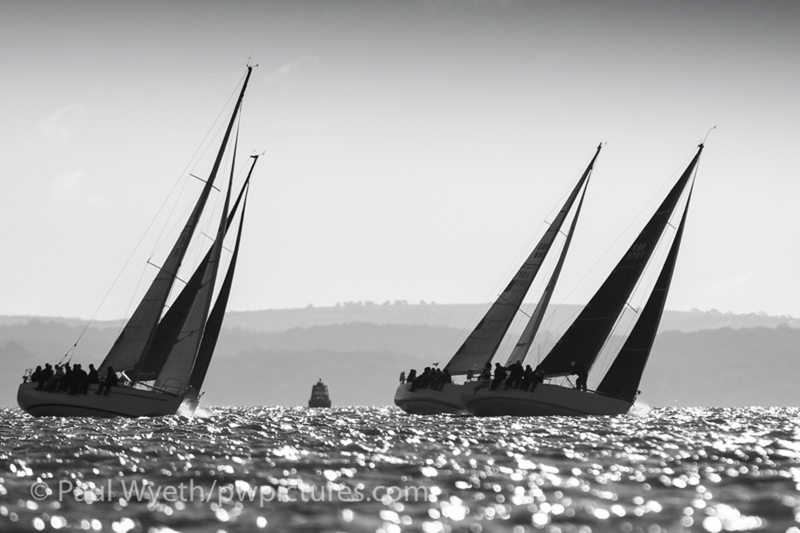 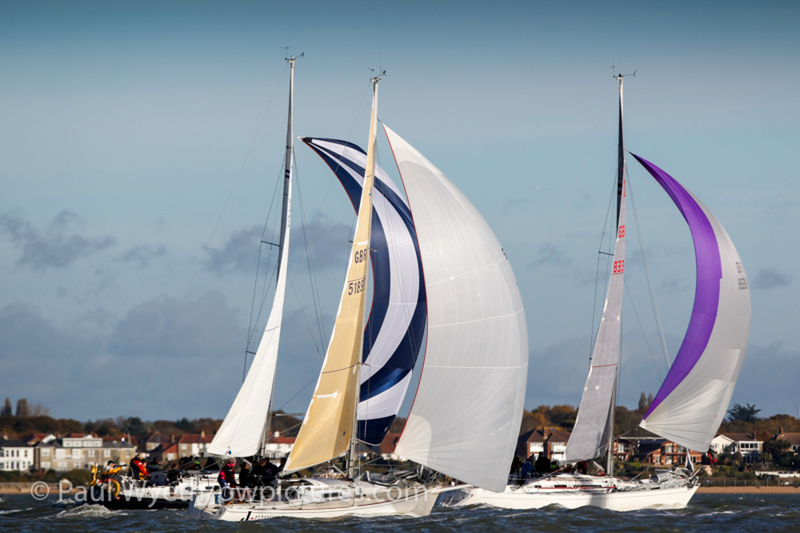 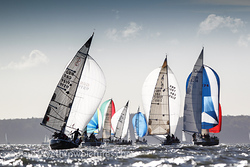 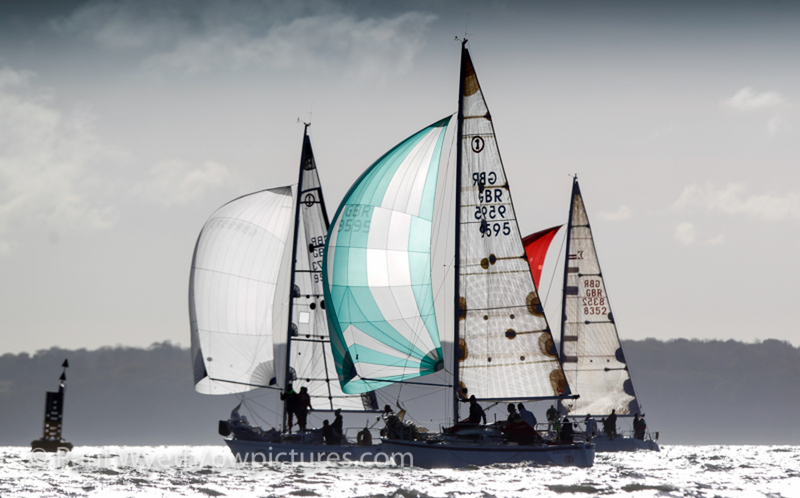 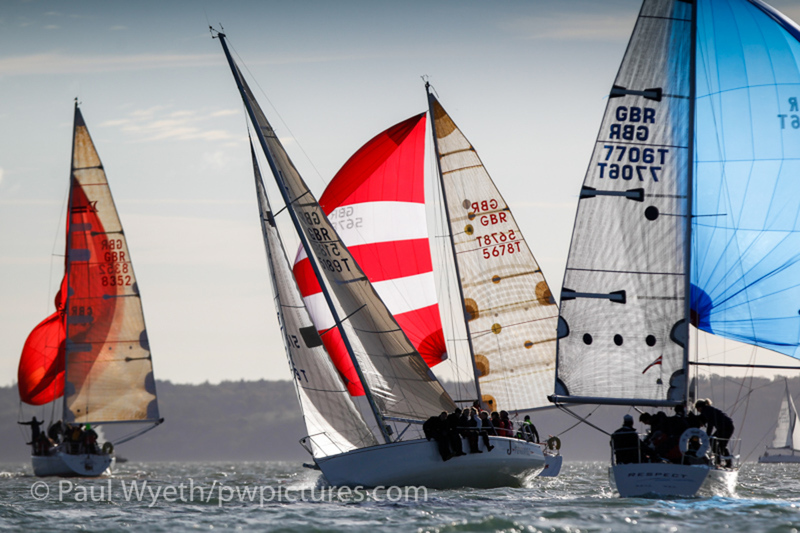 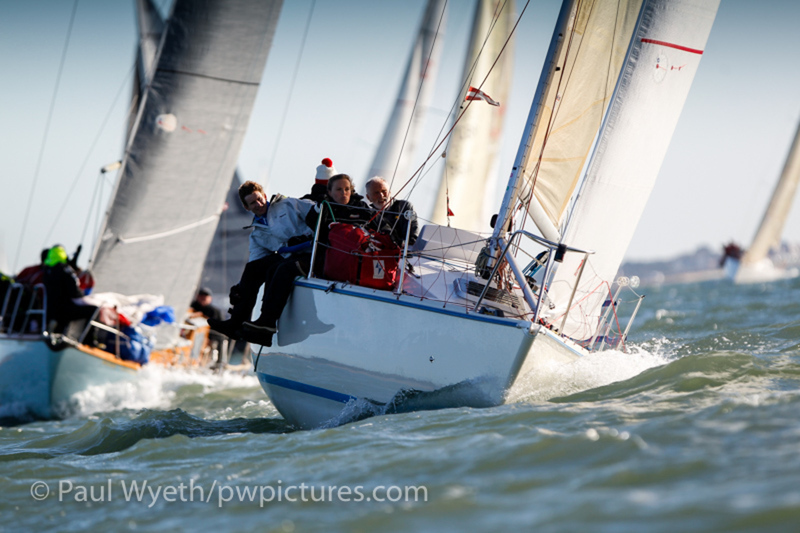 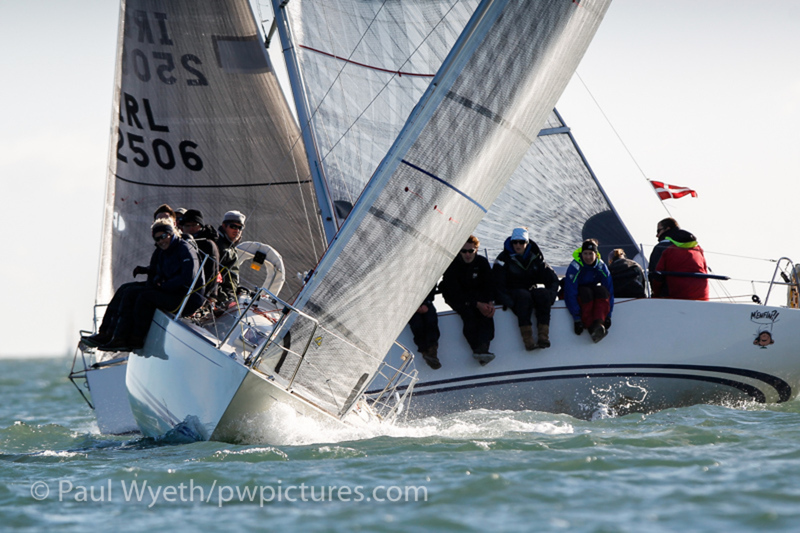 Saturday's miserable autumn rain cleared up in time for the weather gods to deliver a day of champagne sailing for Sunday's Hamble Winter Series race. 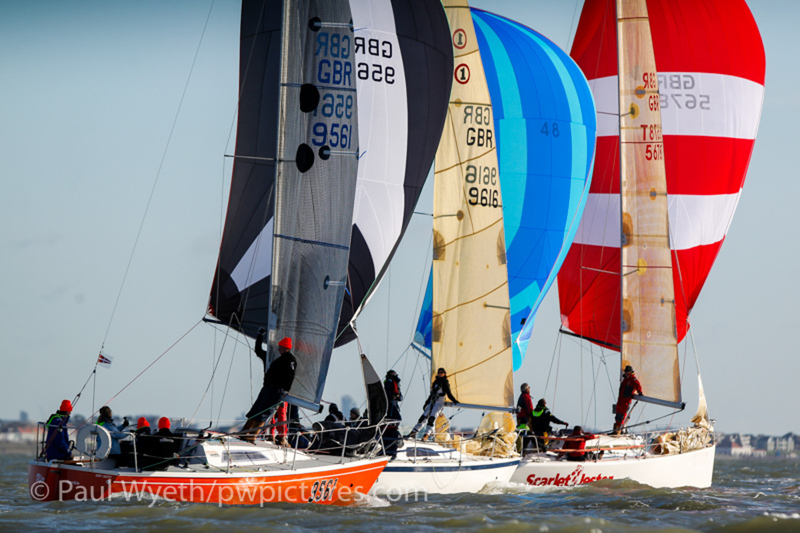 A very shifty north-westerly welcomed competitors to a game of snakes and ladders, with oscillating windshifts providing plenty of opportunity for position changes in the large fleets. 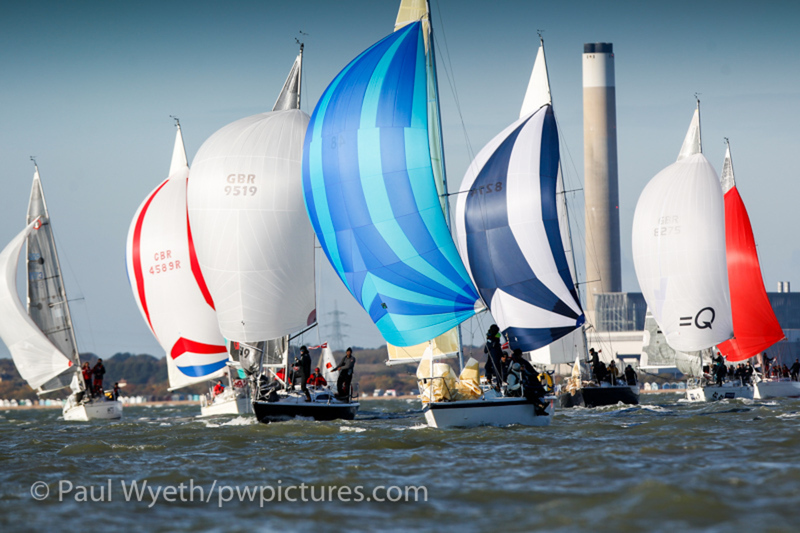 From a startline near hamblewinterseries.com buoy, fleets beat up towards the Hamble, with the bigger boats using Hamble Point as their windward mark. 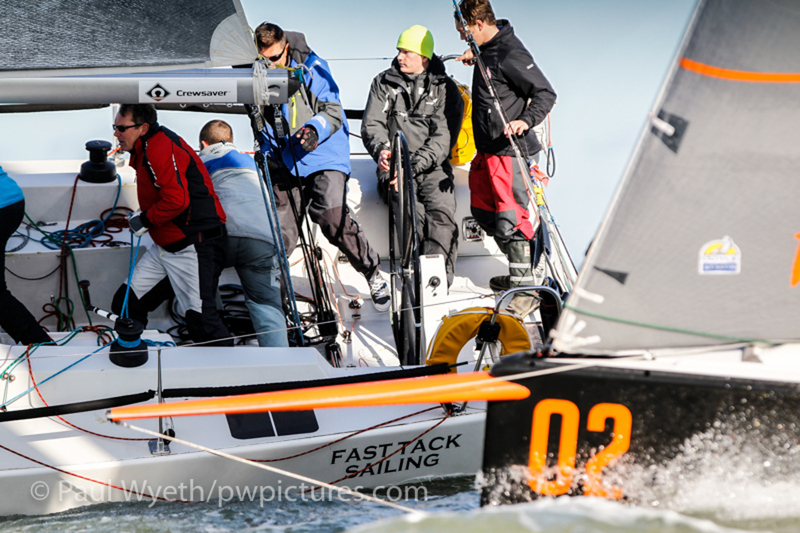 IRC 3 and 4 rounded Bald Head as their first mark, with the nearby shoreline adding some extra tactical challenges. 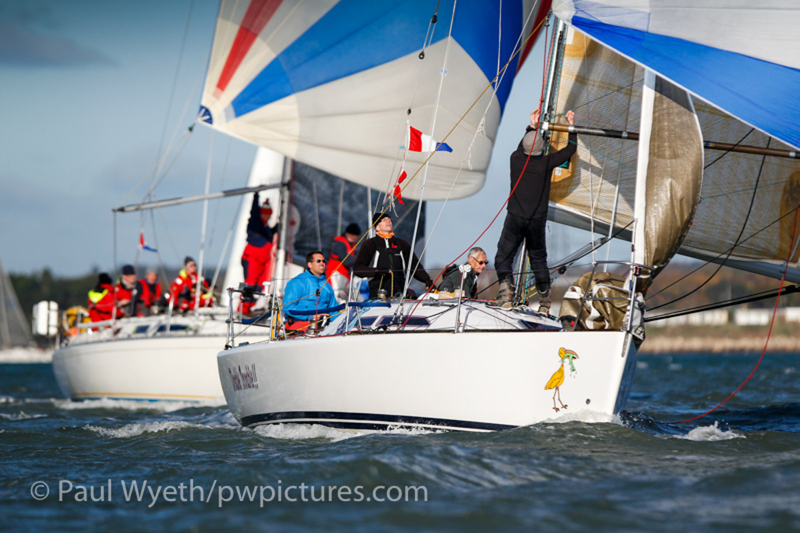 In IRC 1, Roger Bowden's Nifty continued her winning form with another first place, taking her eight points clear at the top of the overall results. 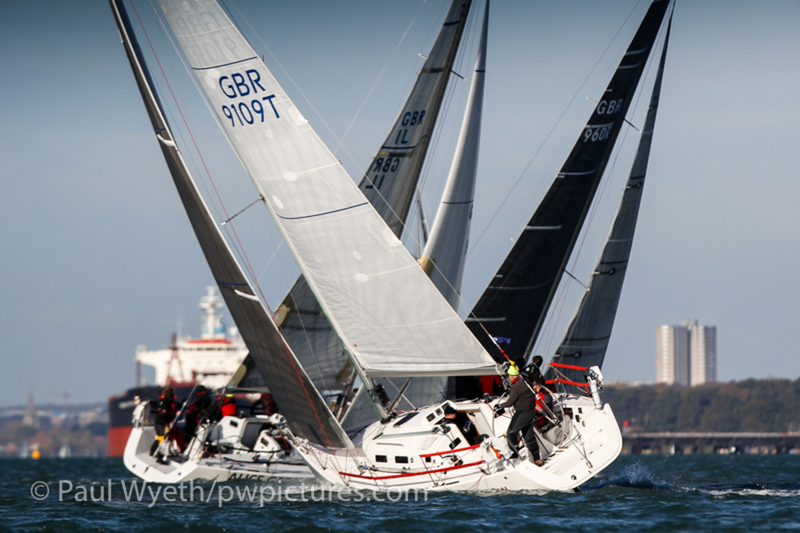 In second this week was Toby Lambert's MAT12 Night Owl 2, who finished less than 30 seconds ahead of Richard Patrick's First 40 Dusty P in third. 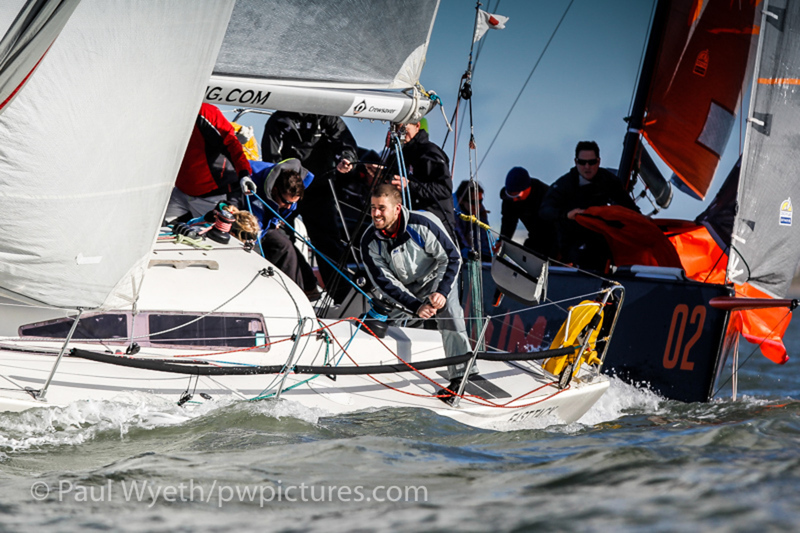 In IRC2 Mike Moxley's HOD35 Malice recorded a solid first place, ahead of overall leader Mike Bridges and crew on Elan 37 Elaine. 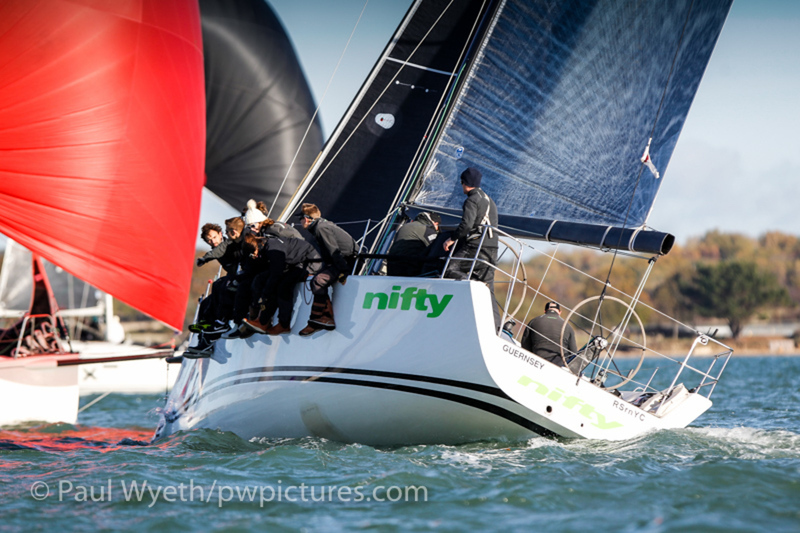 Simon Perry's J/109 Jiraffe took third place, leaving them three points behind Elaine with two races left to sail and much to play for. 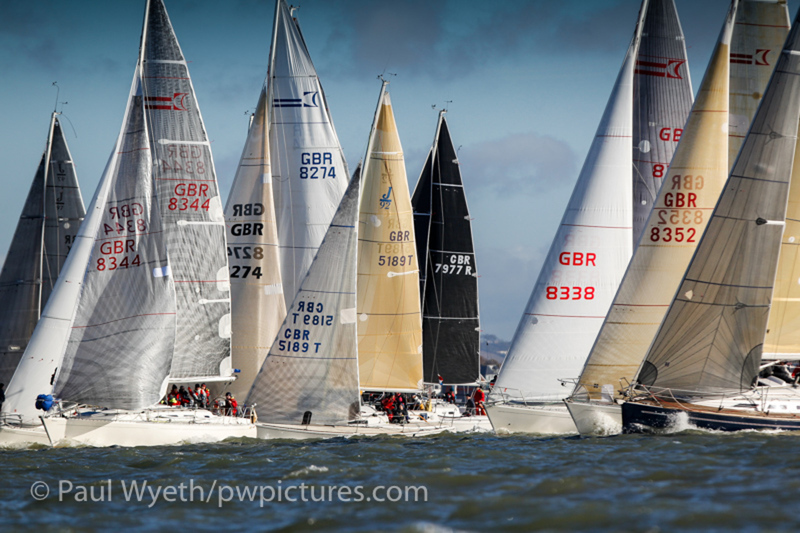 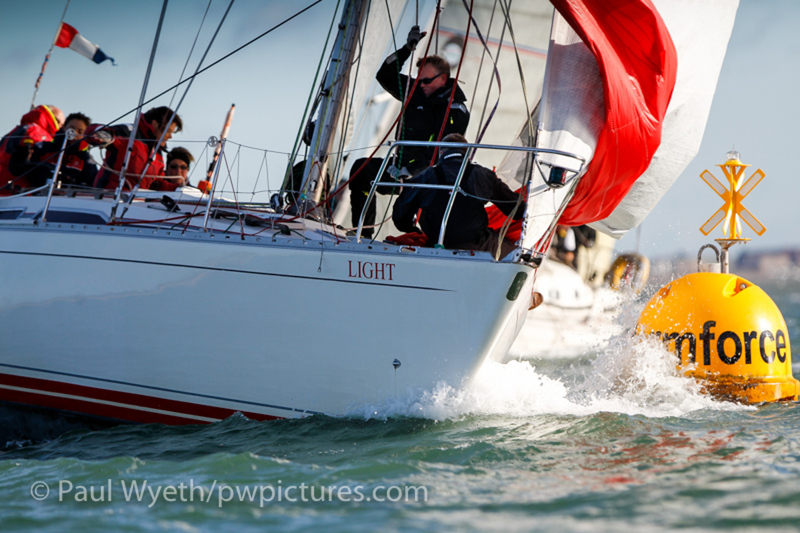 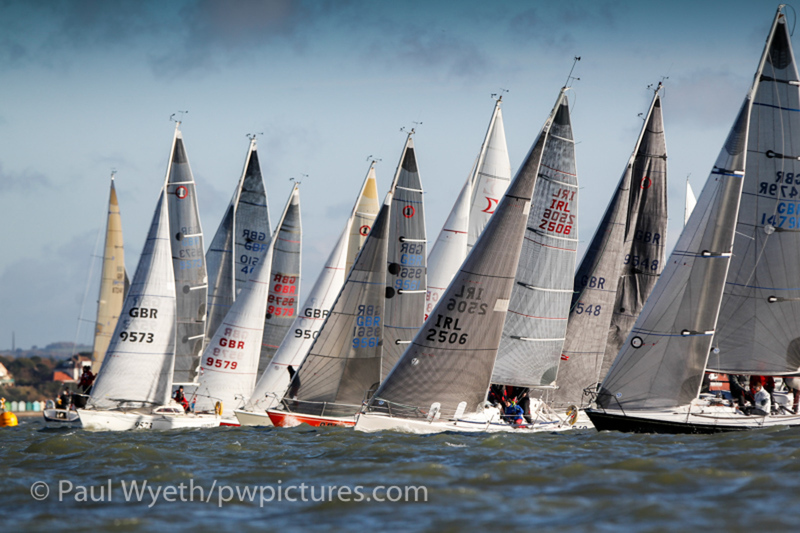 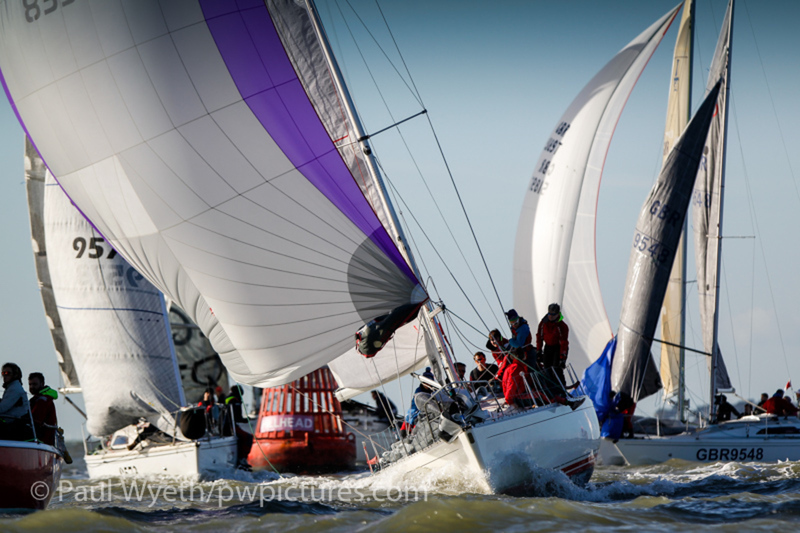 In IRC 3, Jamie Muir's SJ320 Scarlet Jester took the top spot, ahead of Kevin Sussmilch and crew on Sigma 38 Mefisto. 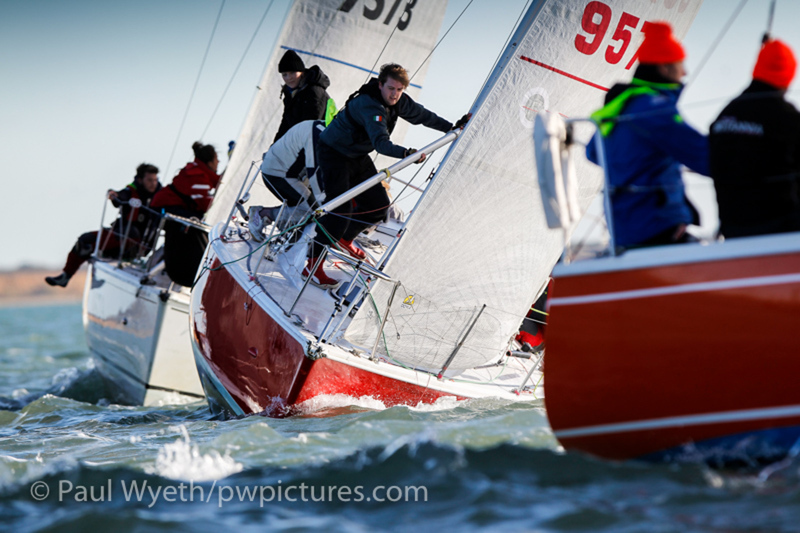 Robin Stevenson's J/92S Upstart finished third this week, but still leads the overall rankings by three and a half points. 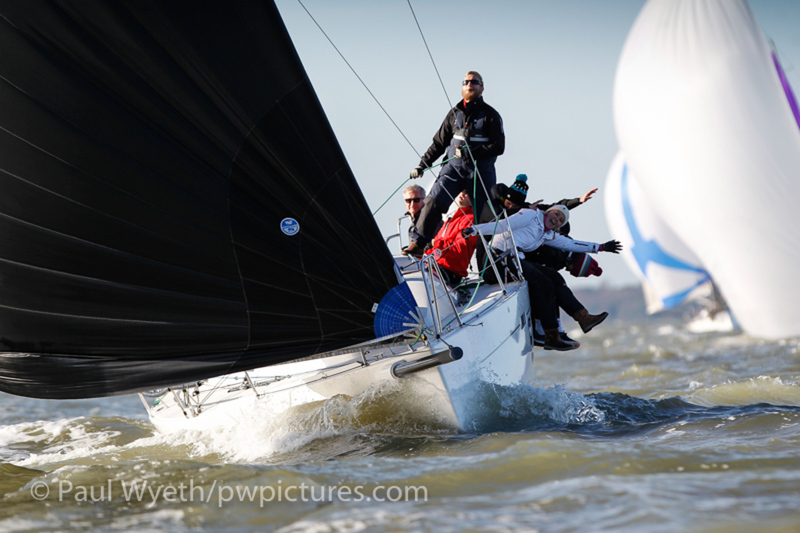 IRC 4 was won again this week by Giovanni Belgrano's Whooper, finishing 20 seconds ahead of Jeffery Dakin's Flashheart – who were only 10 seconds ahead of third-placed Respect, sailed by Stuart Danby and crew. 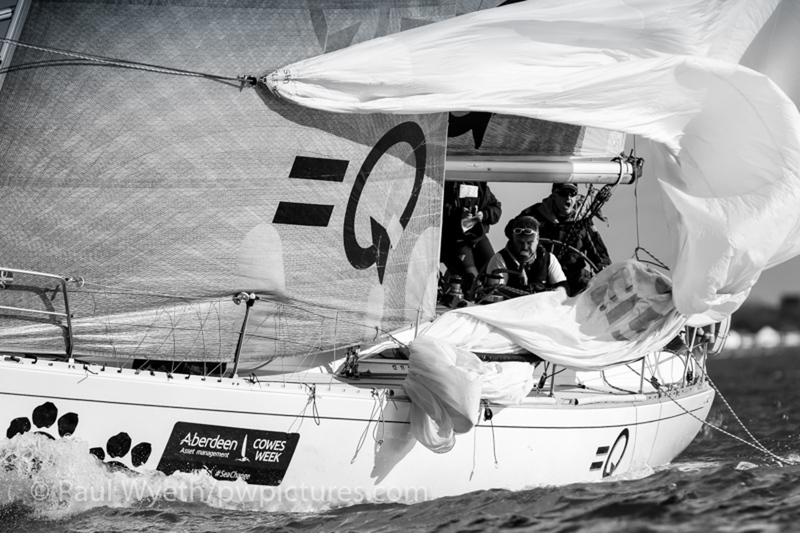 Six points separate second and fifth places, so there is all to play for with two races left. 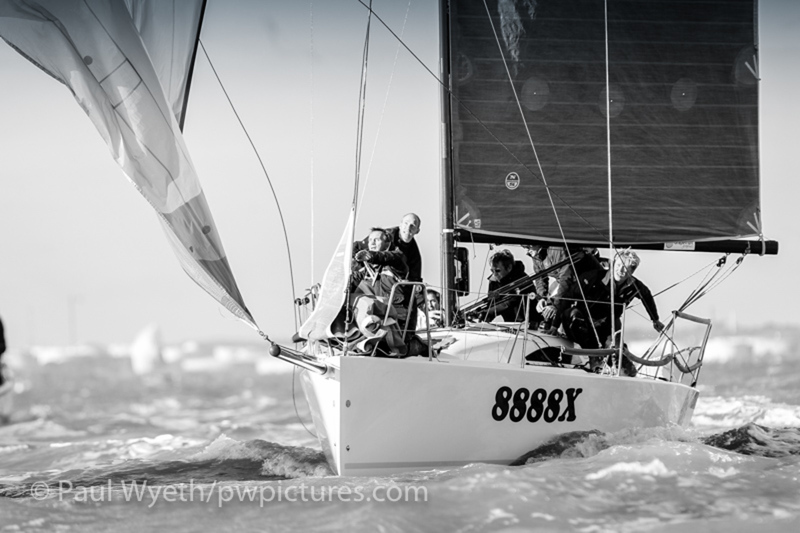 Paul Ward's Eat Sleep J Repeat won the J/88 class, ahead of Kirsty and David Apthorp on J-Dream and Gavin Howe's Tigris. 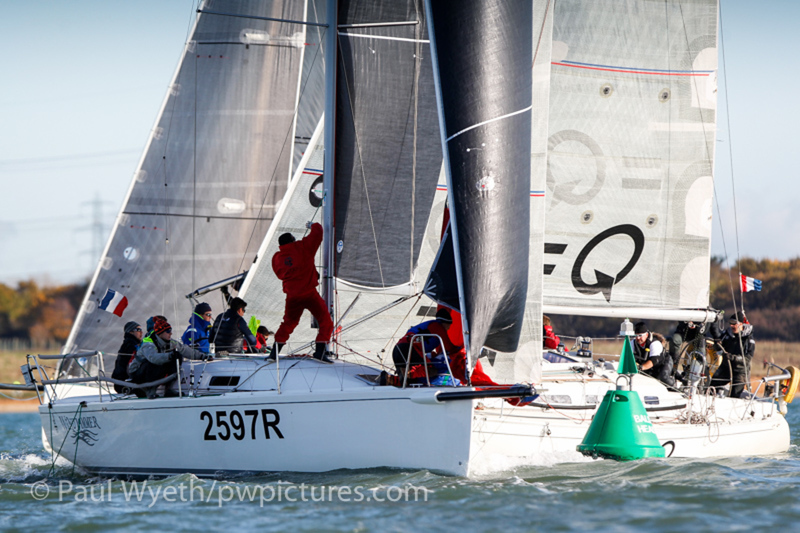 Overall, J-Dream is three points clear of Eat Sleep J Repeat, herself three points ahead of Tigris. 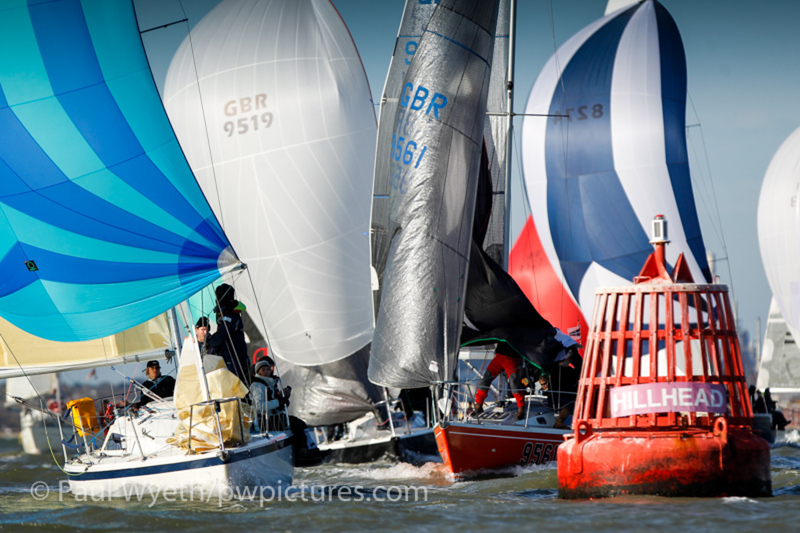 In a packed clubhouse, the race team gave out prizes for the top boats in each class, as well as the two weekly special prizes: Best start, which this week went to Sunrise, and the Top Dog prize, which was won by Whooper and Flashheart. 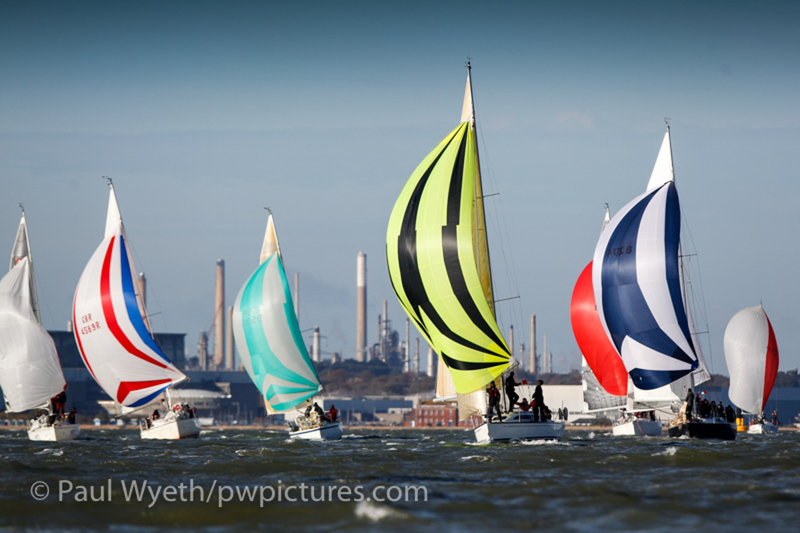 There are two races remaining, and here's hoping that the gales currently forecast for next weekend abate in time!